The process of making an offline payment allows Shiplark to capture payment details from the online order. When Shiplark is connected to Paypal, Authorize.net or QuickBooks Merchant Services, the payment for the order can be done within Shiplark. 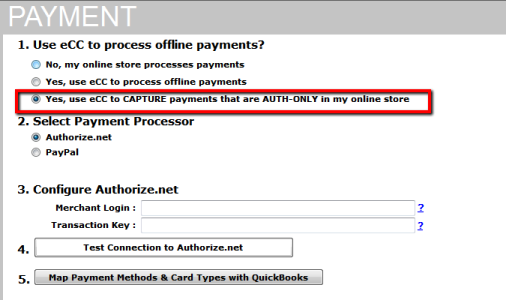 Your payment processor is connected to your online store and the order total is the authorized amount that can be charged. This can only be done using Paypal or Authorize.net.